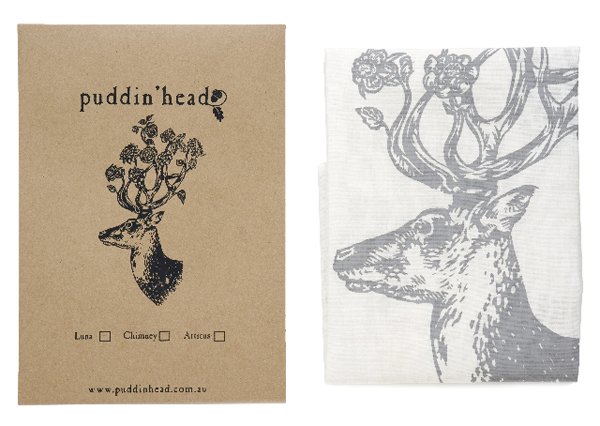 FK chats to Richard McAdam, behind the Sydney textiles label Puddin’ head. Can you describe your work to our readers? 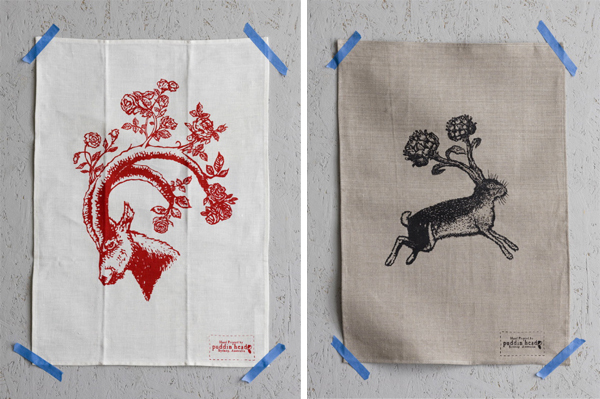 A proud stag strikes a pose, flaunting its rose-adorned crown of antlers, and an elephant trumpets out a plush bunch of flowers while humans are transformed into almost recognizable parodies of themselves. 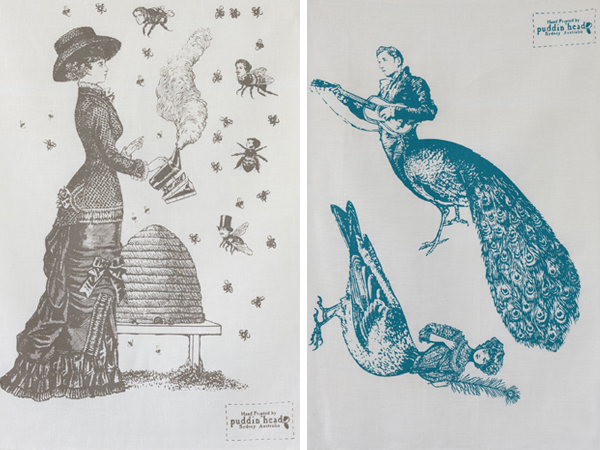 My range of designs for ‘Animaux’ and ‘Anthropology’ explore the complexities of relationships and the interconnection of realities. Drawing has always been an integral part of my life, coming from and supported by an artistic family surrounded by beautiful ideas and art. East Sydney Art School further developed my passion with the tradition of drawing and printmaking and the discipline of art practice. The study of art theory and the subtleties in meaning in art formulated a fascination with symbology which carries through to my current designs. 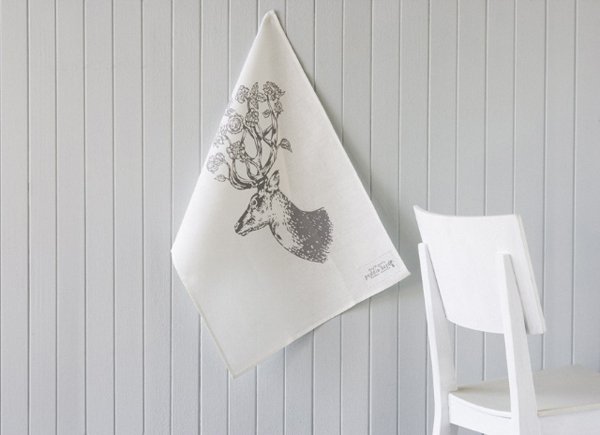 Tell us about your fascination with screen printing! The allure of printmaking has always been for me has been the opposing acts within the art – the meticulous scrutiny and the physicality and the strong sense of tradition. Frustrated with the constrictions of painting and the canvas, screen printing offered me a wide variety of surfaces to express myself. What do you love about having your own label? Puddin’head gives me the freedom to explore ideas and themes that engage me. 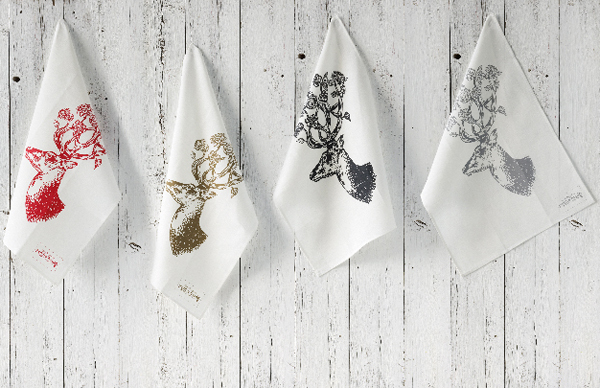 Being able to experiment with forms and concepts (such as the combination of printmaking with embroidery). From design to mixing a colour range, the expression that I am afforded is sometimes intoxicating. However so much freedom is both a blessing and a trial at times. What has been the most challenging about Puddin’head and how have you overcome it? The most challenging problem I have with Puddin’head is the design factor and choosing the imagery. Finding the balance between elements, humour and design aesthetic is key. As my ideas / designs might tend to be obscure or outright weird, the concept phase is vital. Editing the many thoughts I have into a cohesive design can be frustrating. Experience has taught me to come at the problem with a fresh set of eyes, setting a design aside for a while and attacking the problem from another angle. Sometimes the initial thought / sketch will evolve to something unexpected, which to me is one of the joys of the art. What new things can we expect from Puddin’head next? Puddin’head is diversifying. A combination of events are propelling Puddin’head upwards. 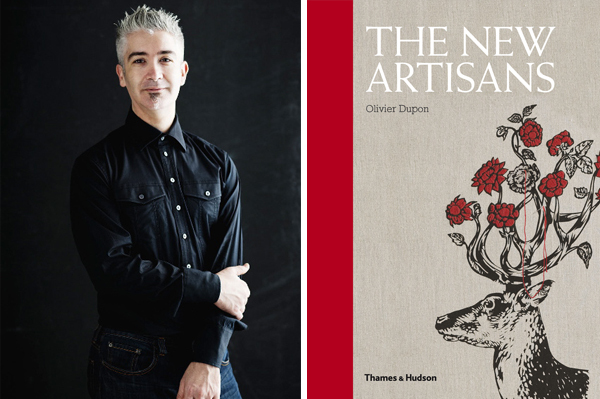 A design book focusing on hand made artists is being published (The New Artisans by Olivier Dupon, Thames & Hudson) features my work, I was also fortunate enough to be displayed on the book cover! Combined with opening avenues of interest in Europe and developing a new range of designs, the coming year promises to be busy and exciting!